I’m sorry I have been so quiet.. I’ve been moving forward after a 16 month long distance relationship came to an end a month or so ago. It was difficult. BUT I’m ABSOLUTELY in a happy place now. It’s like a weight has been lifted… This past week or so has brought fun back into my life in many ways. 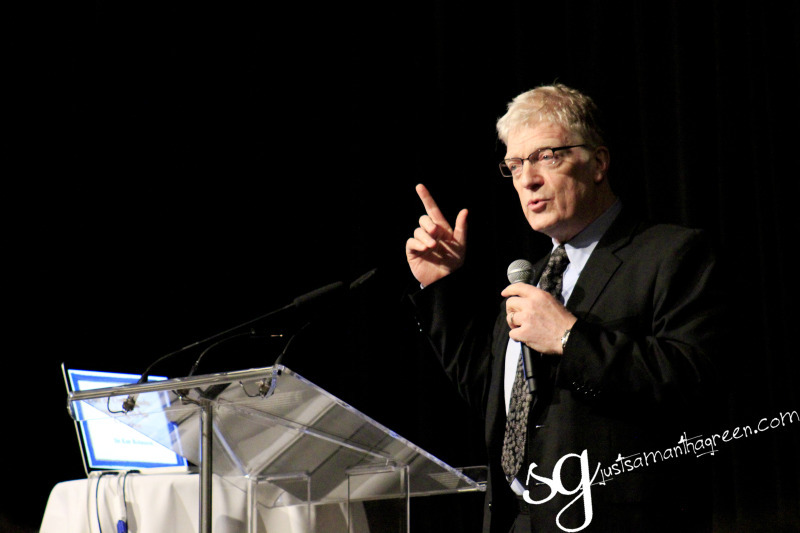 First I visited the city with some friends to listen to keynote speaker “Sir Ken Robinson” who is absolutely my hero. If ever I decided to fall asleep with a voice in my head, feeding my brain subliminally with information, it would be Sir Ken’s… Being a country gal, a visit to the city was really exciting and I enjoyed everything about the day including my first experience of Metro Transit! 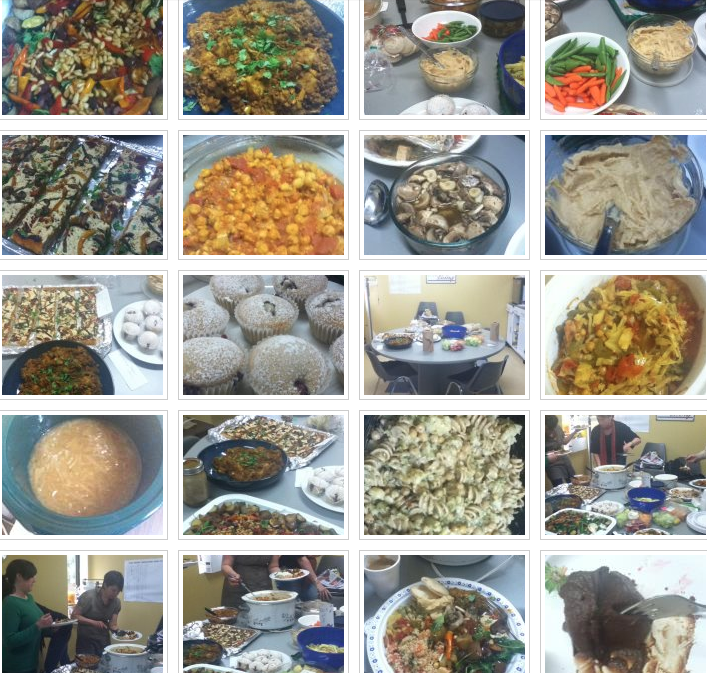 Secondly, we had a vegan potluck at work. The food was AMAZING! Curries, Tunisian stew, blackberry muffins, salads, pasta, hummus, soup, pitta breads, pizza, roasted vegetables, fruit, stir-fry, pickled mushrooms, and even a chocolate mousse made from avocado!!! I allowed myself a day off from eating 1940s to participate. Finally I made another trip to the city for an appointment and met up with another friend for lunch. It was the first cafe I had been to in the city so once again it was a big adventure for me. Such fun getting out and about and enjoying great company! The time flew by and before I knew it my 2 hour parking ticket had expired! 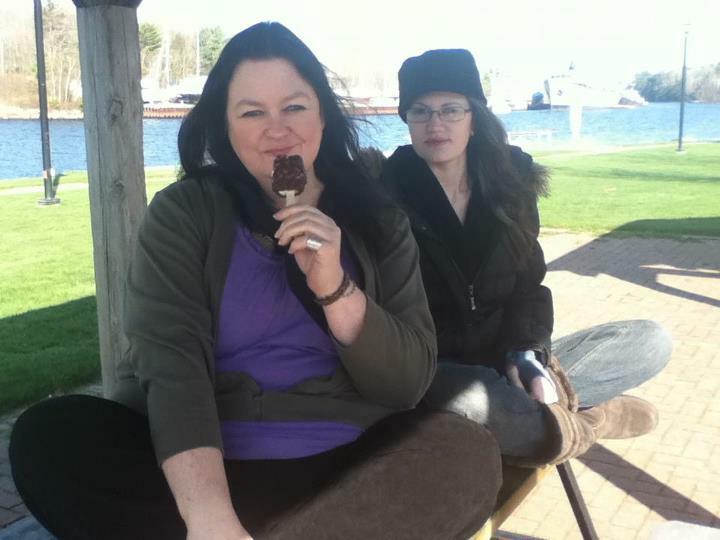 In addition to this the girls and I have enjoyed some time together, I even bought us all a dairy free vegan ice-cream for a treat..
Oh and did I mention that I went out to lunch again the other day and enjoyed a spinach salad at the Wildwood Cafe? Well I did and once again had such fun. These past 10 days have been full of smiles, friends and fun. I’d never have done this last year, my weight would have stopped me, I felt self conscience in public but NOW…. now I am rediscovering the real me again. My confidence is growing..
Oh and did I also mention that I lost 2 lbs this week? Thank you for your continuing support… I AM gonna do this! 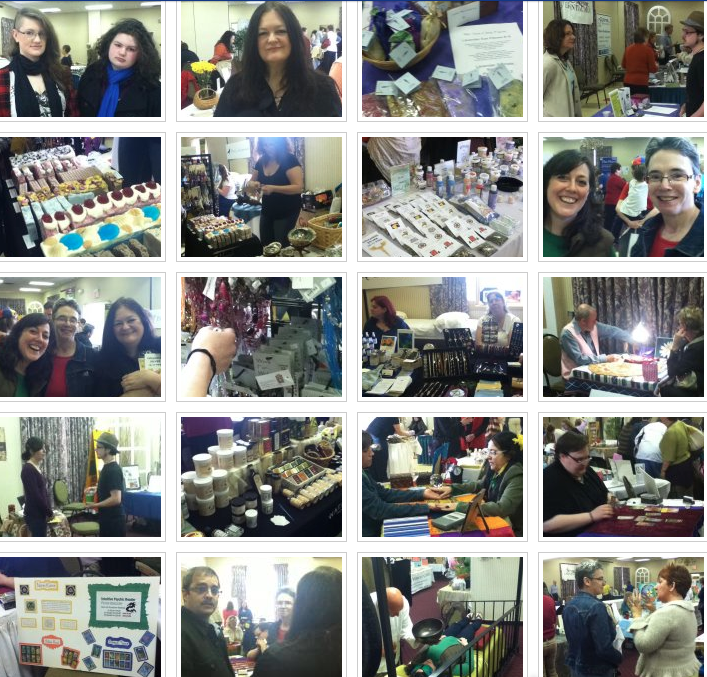 PS I completely forgot about the 3rd Annual Healing Extravaganza! Enjoyed a super morning there with my daughters and friends!! I am loving getting out and about! Thanks Christine! I needed to just step back for a while and focus on other things but I really missed blogging!! A friend came up to me at work yesterday and quietly asked me if I was OK- my blog had been so quiet. I hadn’t realized that it had been two whole weeks with no updates (so unlike me!) but it had! Have been busy just getting my life on track emotionally and really ENJOYING life this past week or two! New recipes forthcoming! There will be some up this weekend! Glad to see you back on the blog! Missed you! Good for you on the 2 lb. loss, too! Really pleased for you, Carolyn. Well done and very proud of your progress. I hope that the bean burger recipe is ok for you, and the vegan lollies idea is a great one. I used to make vegan ice cream the easy way by freezing the fruit in cubes, then whizzing up a cup of rice milk and dropping the fruit cubes into it until it turned into icecream. Easy and very fast! I also used to make vegan ice lollies by freezing slightly sweetened and watered down juices, sometimes adding bananas or other fruits and whizzing them before freezing. Glad to see you are back!! I missed you 🙂 I’m also glad to hear that you are enjoying a new found freedom. That will do wonders for your spirit, just feeling that you can go anywhere and do anything, no longer feeling held back by the weight of… well, your weight! Hi Carolyn So glad you are back fit and fighting. I missed you so much and then my broadband went down and you bloged!! Just my luck. But seems we are both up and running now. Well done on your weight loss. Hi Carolyn, glad to hear you’re doing well and moving forward. Such a relief to hear from you again Carolyn, I became quite depressed as if something had been taken away from me .! Looking forward to more wartime recipes which I love. I also eat mostly Linda McCartney’s foods which are delicious in addition to your recipes. Eating your Veggie Turnovers for dinner tonight! Thanks Carolyn for your info and support.